Have crime information? Your tip could help solve a case. Crime Stoppers is a non-profit organization that allows citizens to report information about crimes anonymously and be rewarded for their information. Crime Stoppers boasts an average conviction rate of 96% of cases solved by a Crime Stoppers tip! This organization is funded through the support of local citizens and sponsored by local law enforcement. Crime Stoppers is based on the principal that someone other than the criminal has information that can solve a crime. It was created to combat the thee major problems faced by law enforcement seeking that information; the fear of reprisal, an attitude of apathy, and the reluctance to get involved. Crime Stoppers resolves these problems by offering anonymity to people who provide information about crimes and paying informants in cash when the information supplied leads to arrest and conviction. Call The Crime Stoppers Tip Line at (318) 368-9679. Give your information to the person answering the phone. The more information we have, the better chance an arrest will be made. You may be asked questions or given additional instructions. 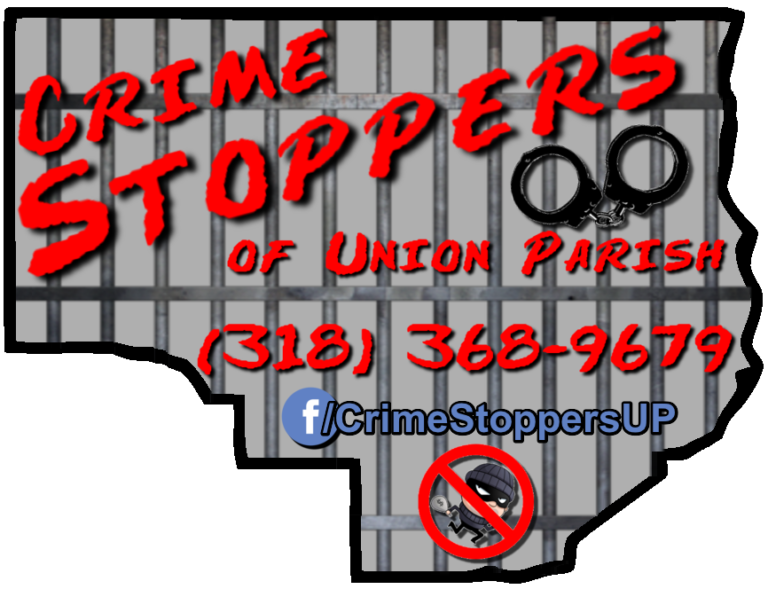 Remember, Crime Stoppers only pays rewards for the arrest and/or indictment of suspects involved in felony crimes. Can anyone submit a tip? Crime Stoppers accepts tips from anyone with information about an unsolved crime. Tips are accepted 24 hours a day, 7 days a week. Once you report your tip, you will receive a Tipster ID Code. Your ID Code is your “name” to us. It is in the best interest of Crime Stoppers that we do not know you name, address, or telephone number. This protects your identity and the integrity of the Crime Stoppers organization. We do not use Caller ID and we do not record telephone conversations. How do I know if I am eligible for a reward? You may hear either on the news or “on the street” that the person you had information about was arrested, or the crime you called about was solved and an arrest was made. Call the Crime Stoppers Tip Line, give them your Tipster ID Code, and ask for an update on your tip. We will let you know if your information led to an arrest and/or indictment. My tip led to an arrest. How do I get my reward? The Crime Stoppers Executive Committee authorizes monetary rewards. Tipsters are asked to call the Crime Stoppers Tip Line to receive payoff information including day, time, location, and amount. All you need to receive your reward is your Tipster ID Code, so don’t lose it. Can I submit a tip online? Yes! Submit a tip by clicking the button at the top of this page.